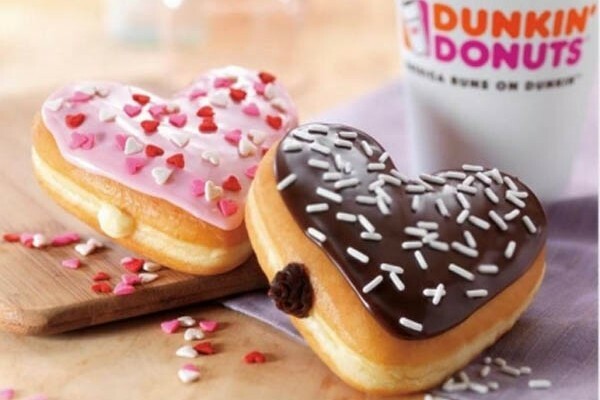 It is now February, the month of love, hearts, and chocolates, and Dunkin’ Donuts is now serving up all three as we jump into Valentine’s Day season. 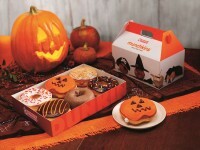 Cookie Dough Donut – It is a heart-shaped donut with a cream filling that tastes like cookie dough. It is then topped with chocolate and heart shaped sprinkles. Brownie Batter Donut – Another heart-shaped donut, but with a filling of cream that tastes like chocolate brownie batter. It is also topped with chocolate icing with heart shaped sprinkles. White Chocolate Raspberry Drinks – If you want to share a latte or coffee with your love, try the White Chocolate Raspberry combination, with a topping of whipped chreme and little candy hearts. 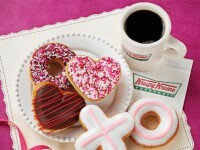 Brown Sugar Cinnamon Latte or Coffee – You can also get this delicious pairing during the Valentine’s holiday. 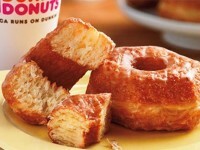 Also, to help make sure you have someone cozy to hold this Valentine’s Day, Dunkin’ Donuts is partnering with online dating website Zoosk. On February 13 and 14, anyone who registers with Zoosk will have an opportunity to win a $5 Dunkin’ Donuts mobile gift card. Register here for more information.